Slideways Go Karting Australia | Feeling Sporty? Get Slideways these Commonwealth Games! Feeling Sporty? Get Slideways these Commonwealth Games! Home News and updates Feeling Sporty? Get Slideways these Commonwealth Games! Feeling Sporty? Get into Slideways these Commonwealth Games! Love your sports? Get a part of the action these Commonwealth Games, with our two Gold Coast venues located right in the heart of the best Commonwealth Games venues! With events in nearby Nerang, Carrara, Coomera, Oxenford, Broadbeach, Labrador, Robina, Southport and Coolangatta, our venues at Nerang and Pimpama are right in the heart of the action! Why not break up the drive? Our extended evening opening times mean that you can race outside of peak traffic periods. Don’t forget – always phone ahead and book your race with your favourite venue. 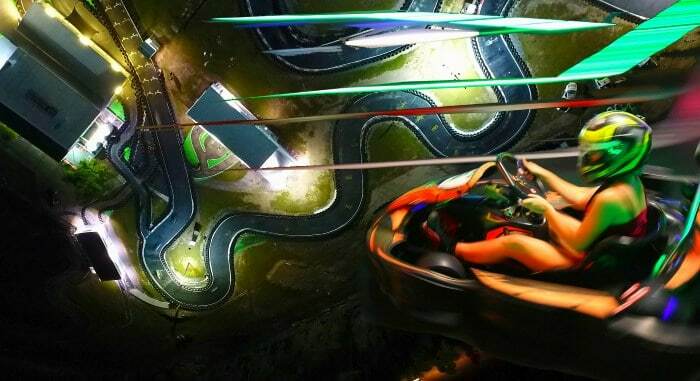 Now open for night racing on our new-look race track, 2 minutes from Dreamworld! Slideways Karting Academy every Tuesday & Thursday – learn the tips & tricks of karting!